On long-term loan from a family living on the South Coast whose late father restored it. From the markings on the pipes, we belive it dates to the fist half of the nineteenth century. 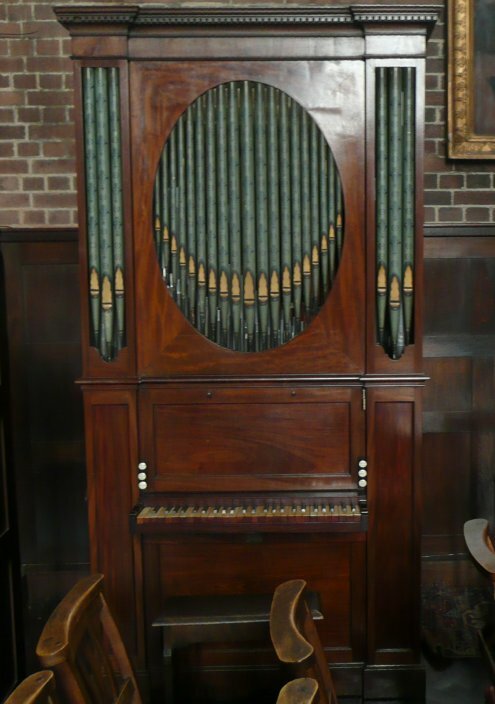 For most of the time that organs have been used as an aid to the liturgy in the Church of England, it is this type of organ which has been employed — a single manual with no pedals. Such an organ is most useful for the authentic performance of much church music. The instrument was transported to St Alban's in pieces and has been assembled in a corner of the Lady Chapel. 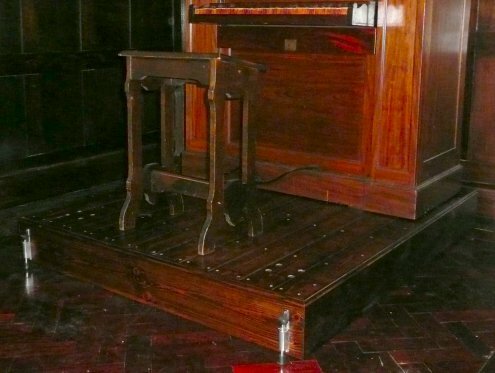 It has been mounted on a substantial wheeled plinth to enable it to be moved safely to and from appropriate locations for use in concerts and recitals and for occasional liturgical use. 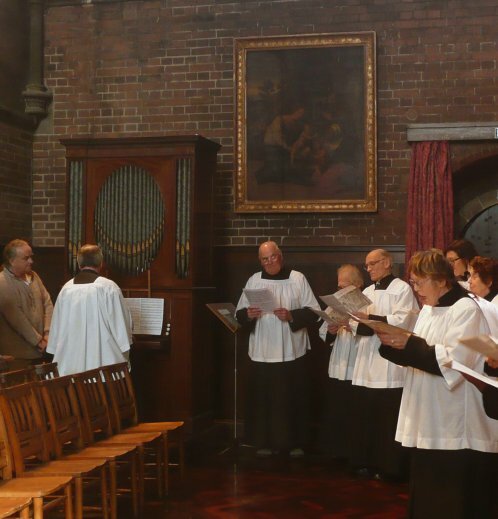 The chamber organ was first used publically to accompany the motet during Communion on Sunday 4th October 2015.